If you are one with a specific expertise not readily available among the workforce, it may benefit you to move to the Netherlands. In this article we will go over what a highly skilled worker is and the 30% ruling in the Netherlands which allows some expatriate employees to bolster their savings and earn tax free income. To start off the article we’ll talk about the 30% ruling and then go in to how you are eligible for it. The 30% ruling is essentially a tax break to attract top talent to the Netherlands. What the 30% ruling does is allow foreign workers who are highly skilled to have a tax free income on 30% of their salary. The way this is done is an employee’s taxable salary is reduced to 70% of the initial amount and the remaining 30% is tax free. This tax break is done so foreign workers can cover their expenses in savings earned not having to pay taxes on this portion of their income. The 30% ruling sounds lucrative but there are requirements in order to be eligible for it. Additionally, you must qualify as a ‘highly skilled worker’ which we will go into later. In order to be eligible for the 30% ruling, you must be an employee and not in a self-sustaining situation like being self-employed. However, you can overcome a self-employed situation and still qualify for the 30% tax benefit if you set up a legal Dutch B.V. entity. 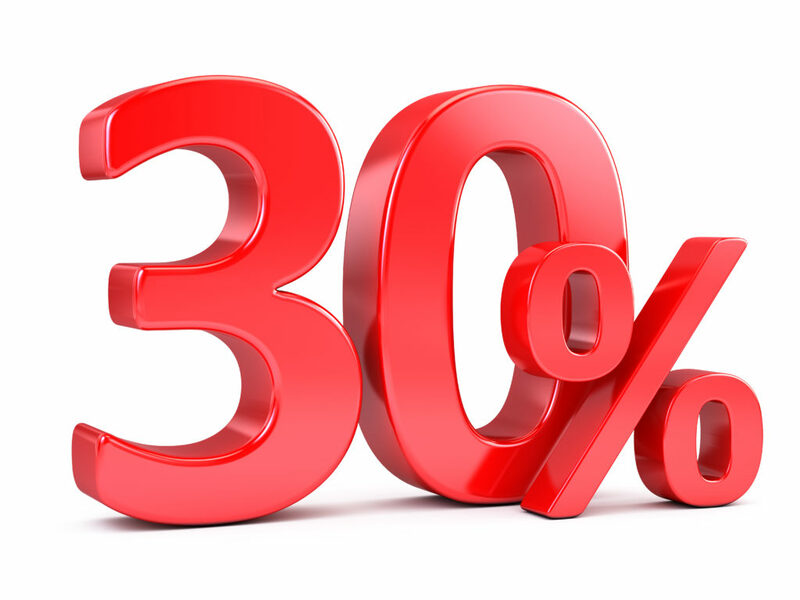 To get the benefits of the 30% ruling, you and your employer must have in writing that it applies. The gross salary of your contract will be reduced by 30%. So keep this in mind that you understand it may affect your unemployment of disability benefits should they become applicable. Make sure to weigh the pros and cons of a 30% gross reduction of salary in the short term– even if it means savings in tax credits in the short term as well. The only way to claim the 30% ruling in the Netherlands is to have been recruited outside of Dutch borders. In addition to this, you must have lived at least 150 km away from the Dutch border prior to employment. Under special circumstances, you can be exempt from this, but in most professions you will be ineligible for the 30% ruling if you do not meet these requirements. What is a Highly Skilled Worker? A precursor to all eligibility for the 30% ruling is that you are a highly skilled worker. So what is a “highly skilled worker”. The Dutch government specifies a highly skilled worker as an employee that has “specific experience or expertise that is not or is rarely available in the Netherlands”. There you have it! If this sounds like you, then you may qualify for the 30% ruling in the Netherlands and have the opportunity to save some money via a tax allowance. There is some additional information that is mandatory for those understanding the 30% ruling. Firstly, there are some additional benefits for qualifying for the 30% ruling. One, you may opt to declare ‘partial non-residency status’ under the 30% ruling. This can lead to additional tax breaks due to your non-residency status. Speak with your financial advisor on how you can apply this status to your savings. Secondly, if you qualify for the 30% ruling, you may not have to take a Dutch driving test to get a license. Those who do not qualify, or simply have a foreign drivers license, will normally have to take a Dutch driving test. Under the 30% ruling, you will not. Lastly, there are some timeline issues you should know about. One, there is a retrospective period where if your application is submitted 4 months after starting your employment, you can qualify for the tax break retroactively. However, after 4 months, you will simply accrue your tax break following month of the application. As well, there is a duration to the 30% ruling. It was at first an 8 year duration, but as of January 2017, it changed to 5 years. With all this being said, there are serious ways to save money with the 30% ruling if you are a highly skilled foreign worker in the Netherlands. If you qualify, speak with your financial advisor today on how to get your savings!